If you’re tired of paying for a dog walker or wish you weren’t woken up so early for Fido’s bathroom break, you’re going to love BrilliantPad. 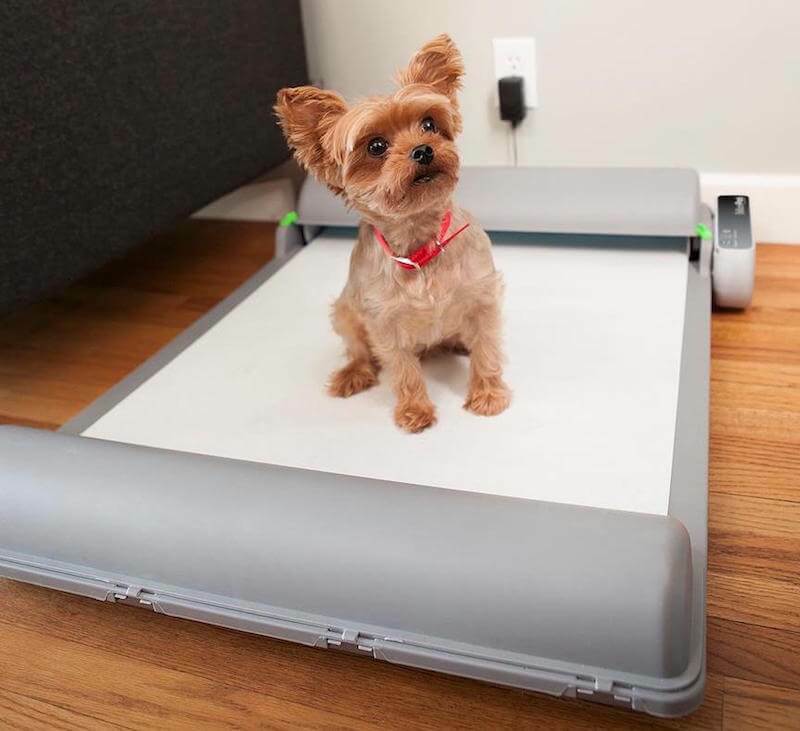 A self-cleaning dog potty, BrilliantPad elegantly handles the dirty business, leaving your house without a trace of odor. This invention is the latest from Alan Cook, the President and CEO of Brilliant Pet 2. His past endeavors include ScoopFree – a self-cleaning litter box and the FroliCat line of pet toys. Cook also serves as a board member and advisor for early-stage consumer product and technology companies. Arrow Electronics backed BrilliantPad’s Indiegogo campaign after reviewing its electronics and software design. Their engineering team, resources, and parts suppliers helped bring the invention to market. 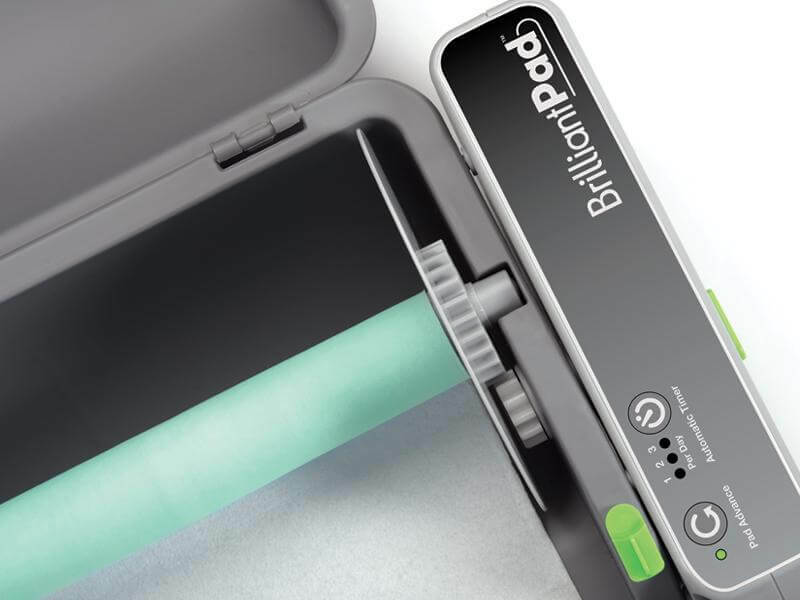 BrilliantPad works like a regular dog pad, soaking up liquids, but it also dries out solids before wrapping and sealing the waste away. You can set a timer to replace the pad automatically or replace the surface by touching a button on the machine. 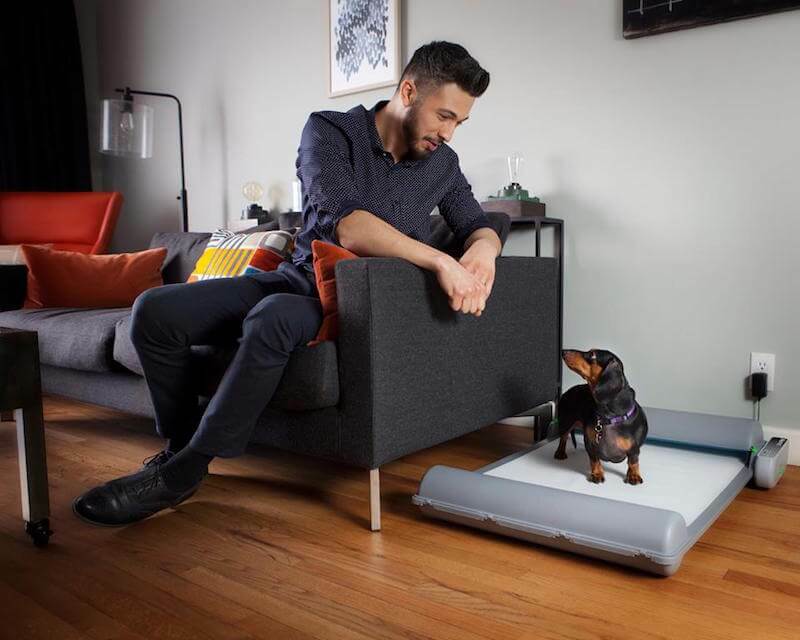 Dogs are famously terrified of vacuums, but the BrilliantPad is silent, making it seem like a harmless household fixture. One roll equates to roughly 27 dog pads so you’ll get a few weeks out of each roll. 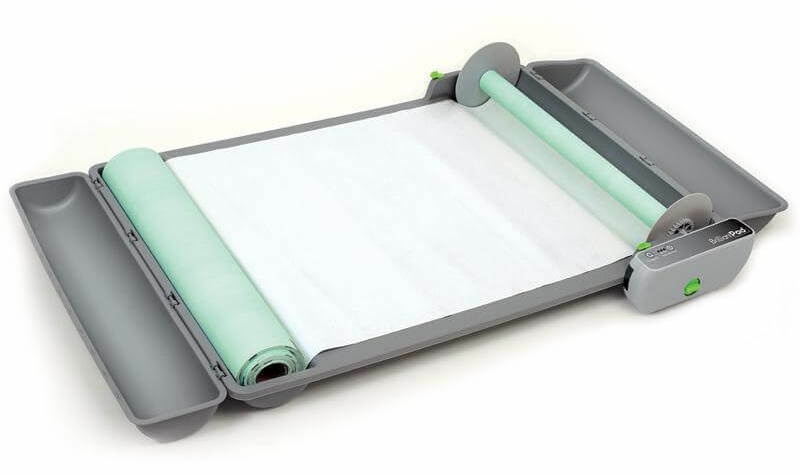 When it’s time to change it, you can pick up the roll without getting your hands dirty. The waste is sealed inside the roll, keeping the outside dry. 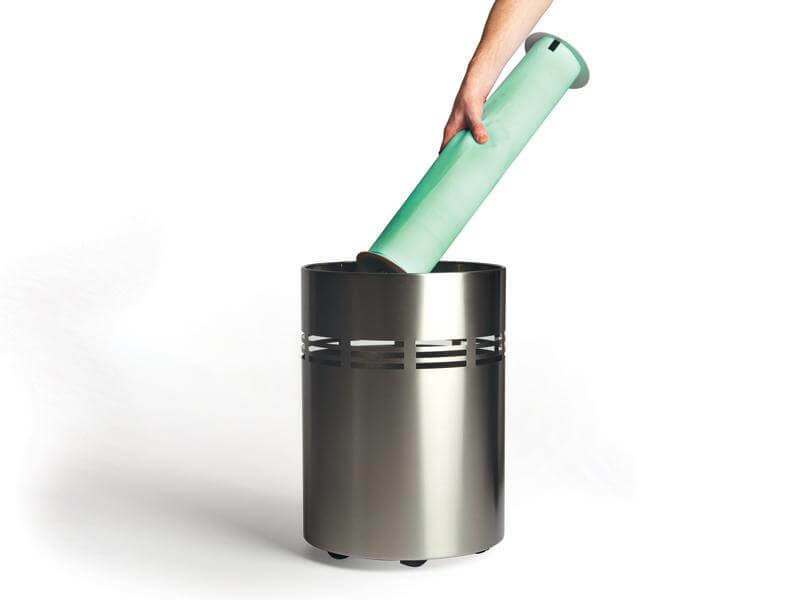 The biodegradable caps prevent leaks and odors and can safely be tossed with everything else. Lastly, because your dog deserves the world and more, the BrilliantPad comes with training manuals for each stage of your dog’s potty training. Give your dog some time to get comfortable with the new piece of furniture before beginning any training. Your new doggy potty will come with a one-year limited warranty on all major parts.